Paleontology or palaeontology is the scientific study of prehistoric life. It includes the study of fossils to determine organisms' evolution and interactions with each other and their environments. 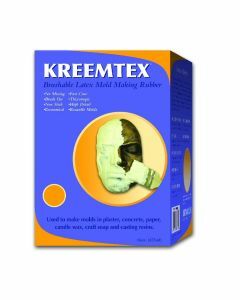 EnvironMolds offers a number of high quality products for the preservation of fossils including CastRite a quality gypsum plaster, Kreemtex mold making latex, MoldRite 25 silicone and KastEZ and AquaClear resins for preservation. See the products below.